The Middle Temple Noticeboard is place for advertising items that may be of interest to our members, for example external CPD lectures, wigs and gowns for sale, social events, work experience opportunities, accommodation, etc. The Inn does not accept liability for the accuracy of these notices. If you would like to advertise on the Inn's Noticeboard please contact us at members@middletemple.org.uk. Following a successful pilot of Mental Health Training for the Bar in October and November 2018, The Bar Council are pleased to announce further courses taking place in 2019. Find out more and book your places at the links below. The London sessions will be held at Bar Council, from 1730 - 2000. 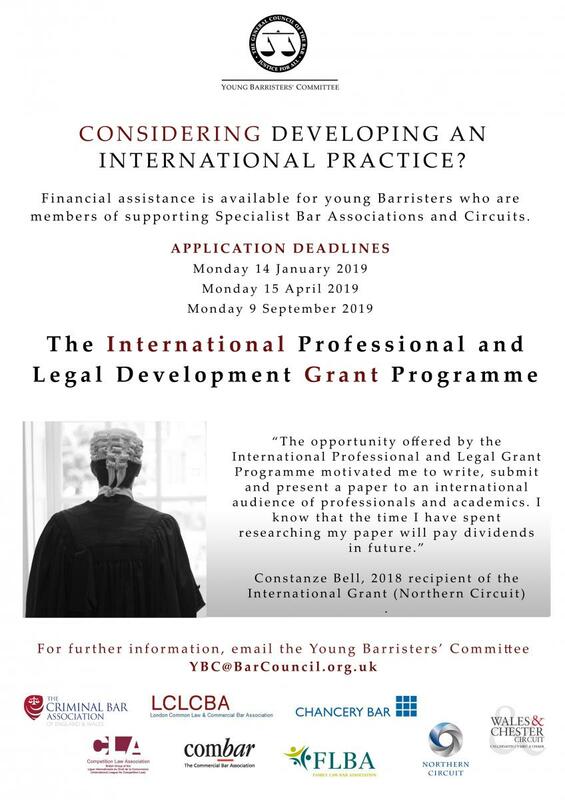 If you have any questions about the training or dates, or would like to enquire about setting up a new Circuit session (subject to numbers) please email Kathy Wong at KWong@BarCouncil.org.uk. ‘100 Years on…’ Roundtable discussion with Partners and solicitors from our kind sponsors, Oliver Fisher Solicitors with Dr. Laura Janes, Legal Director and Solicitor at the Howard League for Penal Reform and Caoilfhionn Gallagher QC, Doughty Street Chambers. All talks are followed by a discussion and light refreshments. EURO-EXPERT: Cultural Expertise in Europe: What is it useful for? EURO-EXPERT, an ERC funded research project at the University of Oxford is investigating the use and impact of cultural expertise in the courts. 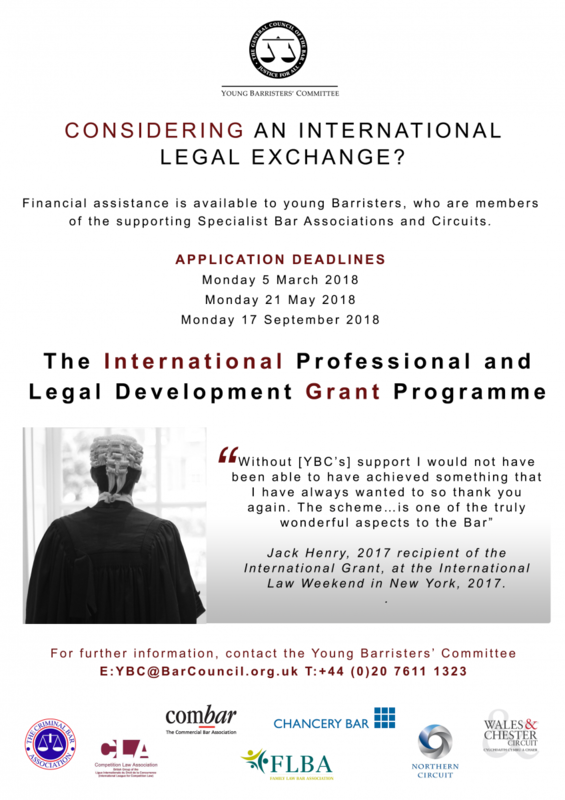 They are interested in getting responses from lawyers, judges, as well as expert witnesses, country experts and cultural mediators, and would be very grateful if you took the time to fill in the below survey. The research aims to map the terms, conditions and costs of cultural experts in legal cases in the UK (and other parts of Europe). An open access database will be created when the research is complete. The survey will take approximately 10 minutes. Thank you in advance for your time and interest. If you have any questions or concern about any aspect of this project, feel free to contact Bridget Prince or her supervisor, Dr Livia Holden, and they will do their best to answer your query. The project is based at the Centre of Socio-Legal Studies at the University of Oxford. The project has been reviewed by, and received ethics clearance through, the University of Oxford Central University Research Ethics Committee (Reference: R50528/RE002).